Dikko Faust founded Purgatory Pie Press in 1977 at Madison, Wisconsin. His collaboration with Esther K. Smith began after Faust moved to New York City and married Smith in 1980. Their wedding invitation was their first print collaboration, and they have been making print-work and artists’ books together ever since. Faust is the letterpress printer; Smith edits, designs, and hand-binds all the books. Esther Smith is also well known for her much-sought-after manual on book structures, How to Make Books (2007). Faust is on the faculty of New York’s School of Visual Arts. 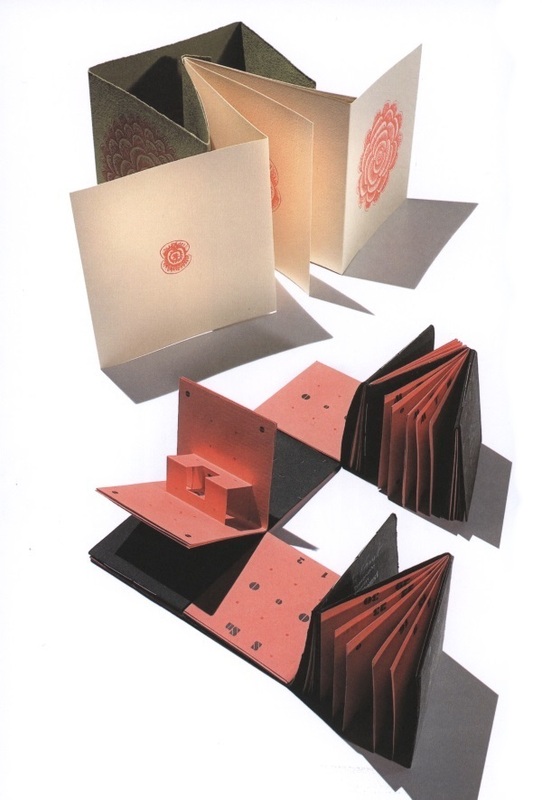 Smith teaches Artist’s Books at The Cooper Union. Their work is in the collections of The Museum of Modern Art, the Whitney Museum of American Art, the Tate, the Walker Art Center, and the National Gallery of Art, among many other institutions. They have also had solo exhibitions at many American and British venues, including the libraries of the Metropolitan Museum of Art and London’s Victoria & Albert Museum. The lecture is supported by the Ettinger Family Foundation. For more information or special needs, call 414-229-4345 or email libspecial@uwm.edu. Image: At top, Fibonacci Flower by Susan Happersett, Esther K. Smith, and Dikko Faust (Purgatory Pie Press, 2006), and Book Toy Cube by Dikko Faust and Esther K. Smith (Purgatory Pie Press, 1994).